Recently in London, a UK Publishers Association in partnership with the University of Greewich, held a one day conference entitled ‘Students at the Heart of the System: How to fulfill their learning needs?’. "Too much information – students are often overwhelmed by the amount of information, across a variety of formats... Although access to information is important, the critical skills to analyse and filter are greatly in demand." "There is an overwhelming need for information analysis skills." "Most students recognised that a mixture of formats is necessary or even desirable." "Students would love, shorter chapters, chapter summaries, key learning points, revision aids etc." "Because of the cost of their education, students expect their learning resources to be made available by their institutions/ libraries – and think most of them should be free. They should also be available in any format they can." Click on the post title to read the report published November 21, 2011 in the "Information Today: Europe Blog"
The European Center for Disease Prevention and Control has published a literature review providing an overview of online health information-seeking behaviour among European adults from the perspective of both the health consumer and the health professional. "..the wealth of information available [on the Internet] means that ‘healthcare professionals are increasingly finding that they have more information available than they can handle with confidence in their busy time schedules’ and ‘the hardest task now is to actually locate the information required from the flood of information received’. The literature also highlights the difficulty of identifying and filtering the most useful, accurate and credible sources while searching online for health information." "In a study in the British Medical Journal, researchers also found that, out of 26 medical situations investigated 'Google searches found the correct diagnoses in 15 of the cases’", calling for caution if using Google (or any other general internet search engine) to search for a diagnosis. Click on the post title for access to the 12 page PDF: "Literature review on health information-seeking behaviour on the web: a health consumer and health professional perspective" ~ ECDC Technical reports(Oct 2011). New research from the Blacksmith Institute (an environmental health group based in New York City) and their partners The Green Cross Switzerland, has identified the ten worst toxic pollution problems facing the world today. Their research shows that mercury, lead, chromium and other toxic compounds, used in many industrial processes, rob years of healthy life from millions of people each year. Yet the group maintains there are simple fixes that could go far in solving the issue. Click on the post title to read more by David Biello | November 10, 2011 | Scientific American or download the full report from WorstPolluted.org. "Every day there are news reports of new health advice, but how can you know if they're right?" Ben Goldacre writes "Bad Science" ~ "unpicking dodgy scientific claims and showing us how medical evidence can be distorted". Enjoy his latest video critique from TED.com [14 minutes]. While federal incentive dollars are trying to work to encourage hospitals and other health care organizations to use electronic health record systems (EHRs), without much prompting, healthcare providers are showing themselves eager adopters of medical "apps". A recent survey of 4,000 physicians in the US found that nearly 80 percent use smartphones, while among the general population only 28 percent use smartphones. 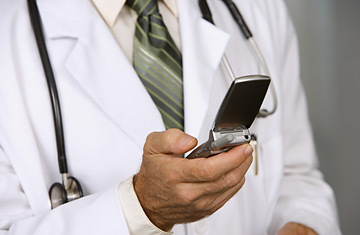 Another report estimates that by 2012 about half of physicians who have smartphones will use them in their work for administrative functions, research, and patient care. "Nineteen percent of physicians use a tablet personal computer in their work, while 69 percent said they are likely to do so in the next few years. Only 5 percent of the U.S. population owns a tablet." Click on the post title to read the full Quality Matters newsletter article from The Commonwealth Fund.